Stop and ask yourself a simple question: “What do you want your retirement to look like?” Unfortunately too many investors and advisors are held hostage to limited visions when it comes to income planning – they’re still using the same income planning approach that was based on the past 30 years and not the future. I find income planning much like innovation in that those who are knowledgeable and in touch with modernization are more likely to harness it to their benefit. Thirty-two years ago as a teen video game consoles, VCR’s and CD’s seemed so natural to me yet alien to my mom – one of the smartest people I’ve ever know yet she passed years ago still not setting the clock on her VCR. Much like today’s technology such as social media and the Cloud seem alien to many parents and grandparents but so natural to teens today. Or think about what we know today about nutrition versus decades ago. I stopped at an old gas station on a long drive recently in a rural area and couldn’t get any reception on my cell phone. They kindly let me use their phone in the garage and I was awash in childhood memories using their rotary-dial phone. The call went through clear as day but I realized in the time it took me to dial the 10 digit number how many other things I could have down in the same time on my smart phone… Now don’t get me wrong, I enjoyed my trip down memory lane and I’m all for ‘stopping to smell the roses’ once in a while but it made me think about income planning in today’s world. We approach investment trends with as much zeal as a teen does the latest technology trend. Many investors and advisors alike are limiting their income planning to the same tools and strategies from 30 years ago. They are ignorant to innovative strategies and products exist today. Consider just one variable that can impact income: interest rates. 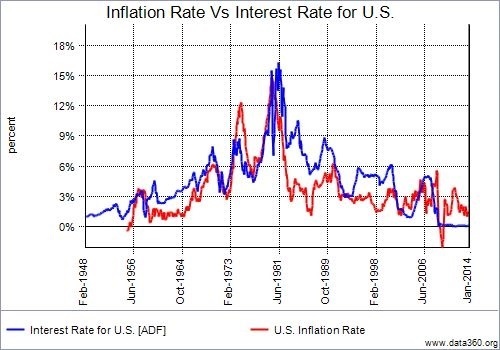 Since the end of World War II, US Interest rates peaked in the fall of 1981 and then began a 32 year downward slide since 1982 (www.federalreserve.gov). 30 year mortgage rates peaked at over 18% in Sept/October 1981(www.freddiemac.com). That high of a rate must have seemed unfathomable in the 1950’s somewhat similar to today. Currently we are looking at the threat of rising interest rates on the horizon. While there are many types of investment risks, Investors have not had to contend with this level of interest rate and inflationary risk potential since 1984. If and when interest rates start to rise the traditional notion of risk (certainly interest rate and Yet across the spectrum I continue to hear and read too many income strategies being put forth that are still only using the same tactics from 32 years ago: Diversification amongst bonds and decreasing duration in your bonds. While these are fine steps they are not an entire plan. Much like the rotary-dial phone certainly can still make a call but it’s not a full communications solution today. Beyond different types of bonds, there are certain annuity products and alternative investments to mention a couple of possible innovative income solutions. Alternative investments – means they are not one of the 3 traditional investments cash, stock or bond – can reduce portfolio correlation (risk of too many things in your portfolio that can be hit by the same variable). They have long been utilized by institutions and are now becoming more accessible by individual investors. Currently though it seems everyone is jumping on the bandwagon of alternative investments. As a group that has been using alternatives for many years, we can say there are as many alternatives investors should avoid as utilize. Interest rates are but one variable to consider when formulating an income plan. There are many different tools and strategies to formulate an effective income plan. We find clients can implement a plan fitted for their needs comfortably once they armed with the knowledge of options available, the possible risks/rewards along with the costs for those options. Just as you wouldn’t want to rely on a rotary-dial phone to run a business today don’t let out dated concepts keep your financial goals out of reach.